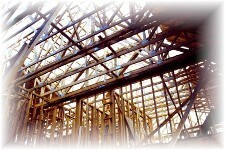 At Paramount Construction and Remodeling, LLC we repair and restore, preserve and protect. We use cutting edge technology, and centuries-old techniques. We improve, strengthen and renew everything from giant commercial projects to the most exacting historical restorations. And we do it in a way that consistently delivers satisfied clients, who in turn become repeat clients and refer us to new clients. Our customer's satisfaction with our performance has fueled our growth over the last decade. If you are looking for a structural repair contractor in the Columbus, Ohio area please call us today at 614-471-3924 or complete our online request form.